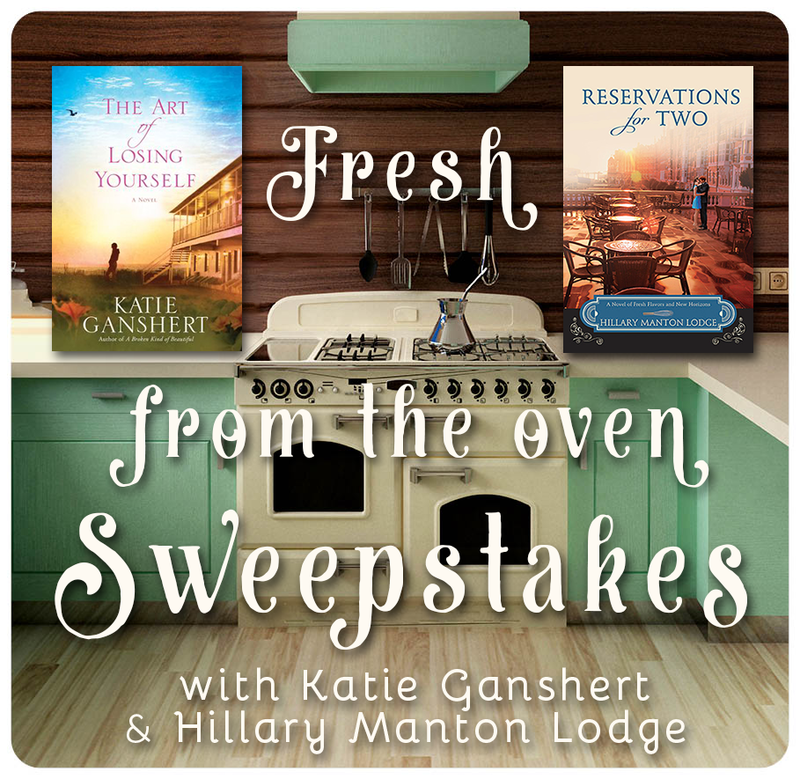 Hillary Manton Lodge Fiction: Fresh from the Oven Sweepstakes - with Katie Ganshert! 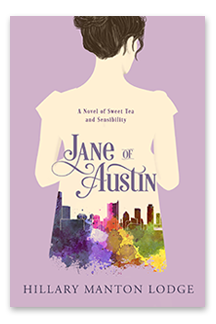 Fresh from the Oven Sweepstakes - with Katie Ganshert! It's a day to celebrate! Katie Ganshert's The Art of Losing Yourself and my Reservations for Two are officially three weeks old today! 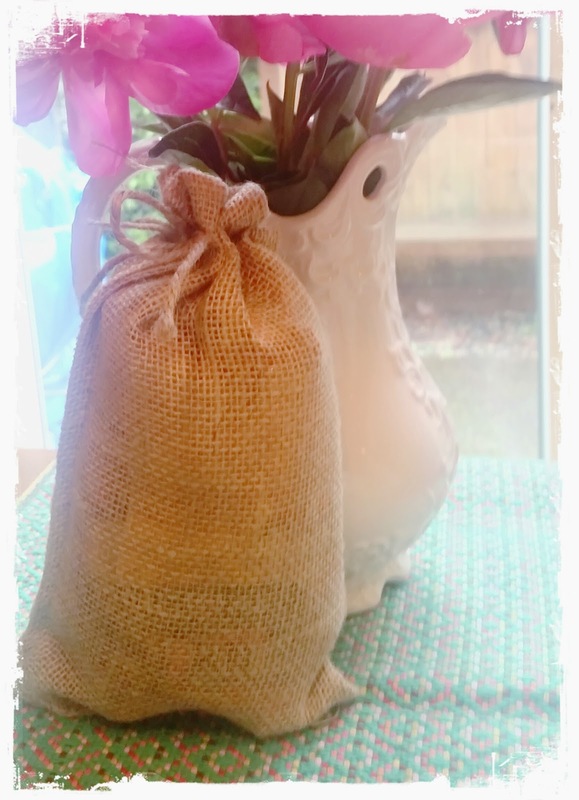 To celebrate, we're giving away a copy of each book, as well as a bag of cornbread mix and a handmade, hand-stamped necklace. 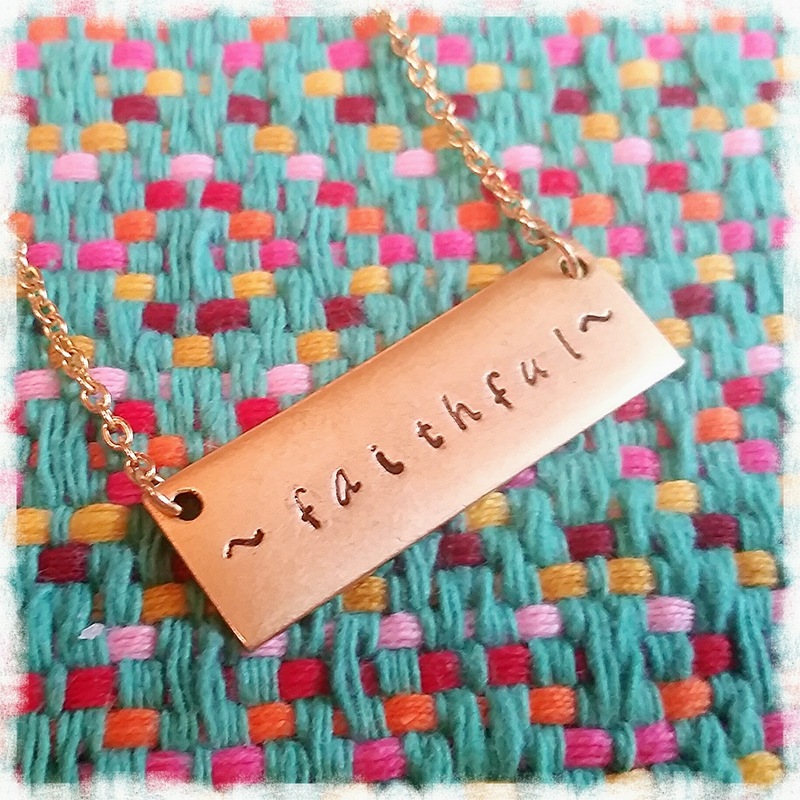 The pendant on the necklace reads faithful, a word that Katie and I agreed fit both books. 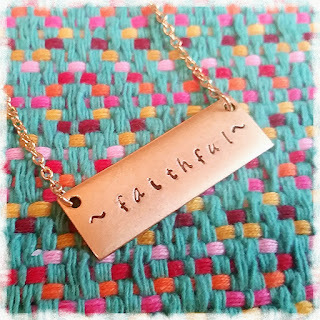 Katie here: God is faithful. It's one of my favorite things about Him. He's faithful when we mess up. He's faithful when life turns messy. He's faithful when we doubt His faithfulness. He's even faithful when we doubt His existence altogether. It's a truth Carmen Hart discovers in my latest novel, The Art of Losing Yourself. It's a truth I hope readers discover too. Hillary here: In Reservations for Two, Juliette faces all kinds of new challenges, both professionally and personally. And it's the ones that hit close to home that feel the most heartbreaking. Juliette fights to continue to believe in God's faithfulness - even when the future ahead feels difficult and confusing. And the cornbread? The peach cornbread Juliette enjoys in Reservations is already a fan favorite. Use the mix as it is - it's Organic Marie Calendar's Cornbread mix, I promise it's delicious. Or you can add about two cups of peaches to it and have something extra-special that's great for family gatherings and potlucks, or for your own enjoyment on a warm day. aesthetically pleasing shot of cornbread mix. How to enter: use the entry form below, and leave a comment to share what your favorite fresh-baked good is! Or a couple. You can leave a list - because personally I'm torn between chocolate chip cookies and rhubarb pie. Share in the comments, and good luck! Update! Keeping this open for another short while, because Katie and I both have books on sale! 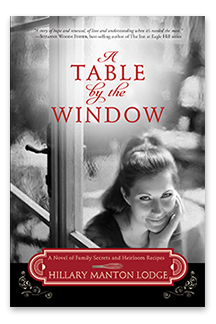 Katie's Wildflowers for Winter and my A Table by the Window are both on sale for only $1.99 across e-book platforms. 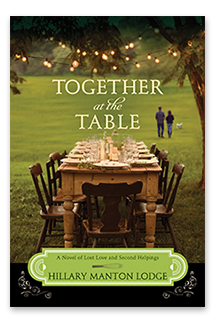 I loved "A Table by the Window" and am excited to read "Reservations for Two"! Love, love the necklace!! Both of these books sound soooo good, they're on my reading bucket list!! I'm not really into sweets anymore since I had to go gluten free, but I do love fresh baked gluten free pizza! I hardly know how to choose ONE favorite fresh-baked item! I bake a lot! So... I love fresh chocolate chip cookies. And I LOVE scones fresh from the oven! I think my favorite is fresh baked chocolate chip cookies followd closely by blueberry muffins! Tie between: strawberry-rhubarb pie, cranberry-orange scones, and a fantastic homemade pizza. Hot out of the oven brownies with vanilla ice cream! I love fresh gooey cookies from the oven. I am seriously getting hungry reading the comments! LOL. It's hard to beat hot out-of-the-oven brownies or chocolate chip cookies! There's a Triple Chocolate Bundt Cake I'm particularly found of (can you tell I love chocolate? Hehe) but I also love a good peach or apple cobbler or a family favorite recipe for Lemon Bars! Looking forward to both books! Thanks for the giveaway! Monkey bread followed closely by chocolate chip cookies(some of flour is replaced with ground quick oats). Hillary, I'm still hoping for a sequel to your Plain Jayne and Simply Sara series. Fresh baked homemade peanut butter cookies. Oh the smell of peanut butter and the warmth of a fresh baked cookie. And I cannot forget my favorite, peach cobbler. 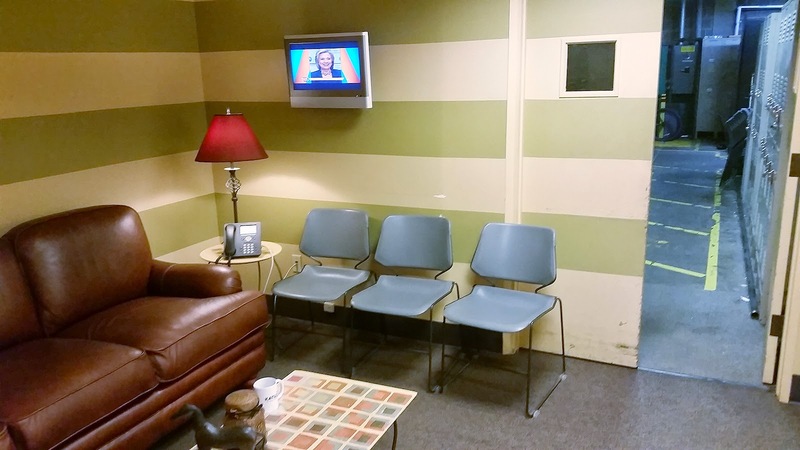 The only thing missing is new books to read. Thanks for the opportunity to enter your giveaway. Zucchini Bread, Banana Bread (and chocolate chip banana bread) and chocolate chip cookies! I love fresh chocolate chip cookies, banana bread, and peach cobbler. 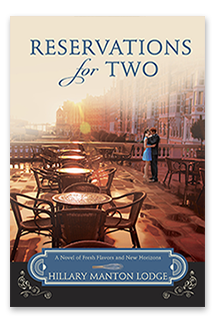 Thank you for this contest from two wonderful authors. Hillary, I just got Plain Jayne today at a resale store and can't wait to read it. I love banana nut bread, Derby pie, rhubarb pie and brownies. Homemade rolls with strawberry rhubarb jelly. I love home made brownies. Apple pie, and chocolate chip cookies! Oh dear. I don't see my comment. My favorite baked good to make is chocolate chip cookies. It's my type of comfort food. Fresh baked bread or Chocolate Chip Cookies! Egg custard or oatmeal raisin cookies! My favorite baked goods are home-made sugar cookies and brownies. I also do like garlic bread. Chocolate chip cookies, still warm from the oven! My favorite home baked foods are chocolate chip cookies and wholewheat bread. The smell of both of these is absolutely wonderful! My favorite fresh baked item is a glazed donut. My favorite would be banana nut bread. Nothing better than warm bread out of the oven with some butter. So yummy! Wow...this is hard but I would go with banana bread or muffins...of course....hot out of the oven is perfect!! I am getting so hungry reading these dessert comments. YUM ! My favorites would be any type of fruit pies. Here is my list: Surprise Brownies, Cherry Pie, Carrot Cake, Eggnog Poundcake, cake in general, Chocolate Chip Cookies, Cheesecake; and my 10 year old son's favorite is Dark Chocolate Cake with dark chocolate frosting, & dark chocolate shavings, served cold! I love to bake. mostly cookies, but I do have a wonderful pumpkin bread recipe that I love to make in the fall! Cheesecake. My mother-in-law made the best! Pistachio and a chocolate chip! Chocolate Chip.cookies, Banana Bread and Blackberry Cobbler. Yum! Chocolate Chip Cookies, Banana Bread and Blackberry Cobbler. Yum! My favorite is freshly baked homemade chocolate chip cookies....probably followed closely by pumpkin bread or strawberry cake! Chocolate chip cookies or brownies! Has to be a traditional loaf of home baked bread!